Omnidex is available for download using the links shown below. Customers deploying applications in production environments should consider downloading the most recent stable version of Omnidex, whereas customers developing new applications may want to consider a more recent development version. Note that development versions may remain in that status for quite some time before being declared a stable release; however, development releases do undergo substantial testing before being made available to the public. Omnidex installations must be licensed after being downloaded and installed. Trial licenses are available for those evaluating Omnidex. Starter, Small Business, and Enterprise licenses are available for purchase on a per-machine basis, and development licenses are available for no charge to existing customers. It is customary that we assist new clients in their first implementations of Omnidex. Please contact us to obtain license codes for Omnidex and to discuss your application needs. 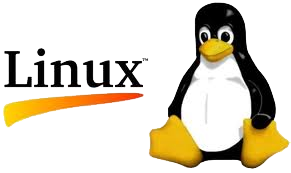 You may also visit our software installation guides for Windows and Linux. The following releases of Omnidex are stable and appropriate for production applications, though they may not contain the latest features and enhancements. The following releases of Omnidex are either in development or in beta, and are not yet recommended for production applications. These releases provide early access to the latest features and enhancements within Omnidex. Omnidex has a long history of releases over the many years. Some existing customers run their applications on older, legacy releases of Omnidex. Click here to download an older version of Omnidex.